The Fed Could Not Escape the Room. Now We’re Stuck. Got Gold? An 11-year monetary experiment is coming to an end in failure. No one knows what happens next, but the need to position portfolios to preserve wealth has never been greater. The experiment began in the midst of the financial panic of 2008 when the Fed began printing money under a program called “quantitative easing,” or QE. This first program lasted until June 2010. After a pause, the Fed began a new program of money printing called QE2 in November 2010, which lasted until July 2011. The Fed then took another pause, but the economy weakened so a new program called QE3 started in September 2012, which lasted until October 2014. 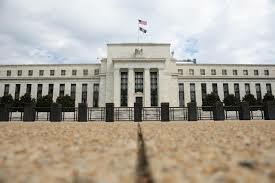 All told, the QE programs expanded the Fed’s balance sheet from $800 billion to $4.5 trillion. At the same time, the Fed held interest rates at zero from December 2008 to December 2015. It has raised rates to 2.5% since. The benefits of money printing and zero rates are still under debate. But beginning in December 2015 with the first rate hike in nine years and in October 2017 with the first balance sheet reductions since the crisis, the Fed began to “normalize” interest rates and balance sheet to prepare for the next recession. The goal was to get rates up to 4% and get the balance sheet down to $2.5 billion in time to fight a recession. The conundrum was whether the Fed could normalize without causing the recession they were preparing to fight. According to this article and recent remarks by Fed Chair Jay Powell, it appears the answer is no. The Fed will pause in its interest rate hikes in March and may also slow the rate of balance sheet reductions in the near future. This is in response to a slowing U.S. economy and slowing global growth. The Fed cannot normalize without causing a recession, which means it cannot prepare for the next recession. The Fed is stymied and cannot escape the room. The only way out is inflation. Investors should prepare accordingly.